Awesome. Rockman X9, anyone ? It is a must. Want to see a brand new insane animal Maverick bosses!!! MMX is a much better recieved franchise than the classic series. I am very shocked they stopped making them, honestly. But it's a well received franchise in its own right. If not an X9, can we at least get an anime for the X series? I'm surprises one was never actually made with all the anime cutscenes done in multiple games. Capcom has always cared a lot about sales, so having proof that Mega Man will sell is great for the franchise. 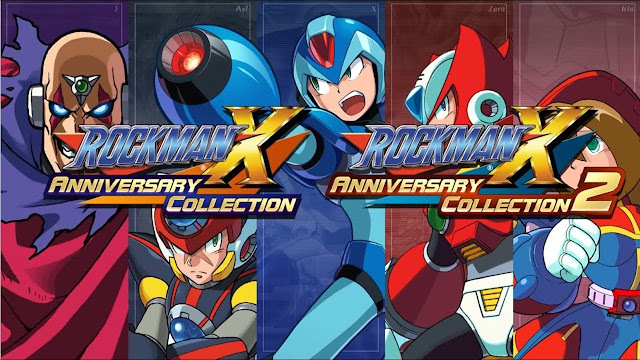 I was prepared to import the tangible version of X Collection 2 from Japan, but after playing the U.S. version, I'm reminded of just how bad the PSX/PS2 X games really were. I trash on X4 for it's ultra-linear gameplay, emphasis on Zero and mediocre story but as simple and easy as it is, it's better than the train wrecks that followed it. On the surface X5 and X6 seem similar to X4, but there are enough gaming "DON'T'S" between the two of them to fill an encyclopedia. They really should have gone back and tweaked these games to make them better, not just fix the Maverick names, replace the Japanese songs and add "Impossible To Lose Mode" options to all the games.